Situated in the center of the island, Furano has become known for its idyllic rural landscape, and the drastic changes it experiences as seasons shift. During the summer months, the fields of lavender represent the main attraction in Furano, with the wealth of hot springs, swimming pools, restaurants, and teahouses backed by the purple and green of the lavender. Come winter, the town's ski resorts click into gear, with a number of downhill and cross-country routes to try at the facility, which has hosted many professional championships over the years. Furano is in Hokkaido. With our online itinerary creator, Japan vacations can be built around trips to Furano and other destinations in Japan. 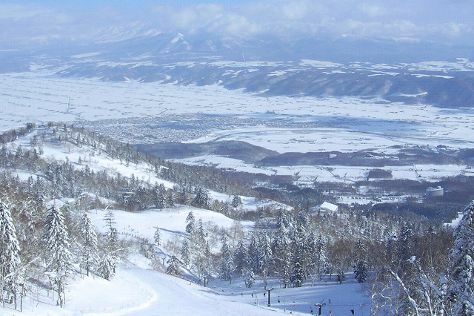 As a resort that attracts visitors regardless of the season, Furano has a range of accommodations to suit its popularity. The bulk of them lie to the west of the main train station. This particularly scenic area has an abundance of hotels and guesthouses, with some offering extensive views of the lavender fields, and all within easy reach of the slopes come ski time. Keep an eye out for those with onsite "onsen" (traditional Japanese spas that use hot spring water), offering a warming, relaxing experience after a day on the slopes or touring the lavender fields.